Augustin Fresnel 1788-1827: French engineer. 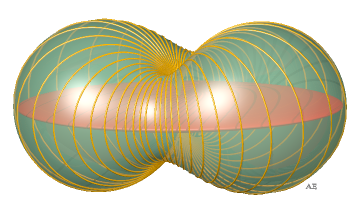 Cartesian equation: , for the ellipsoid . 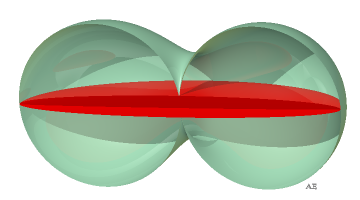 Fresnel's elasticity surface is the pedal of the ellipsoid with respect to its center. It is the generalization to space of Booth's oval, and besides, the sections by the 3 symmetry planes are Booth's ovals. Stripped-down view along with the initial ellipsoid. See also Fresnel's wave surface.